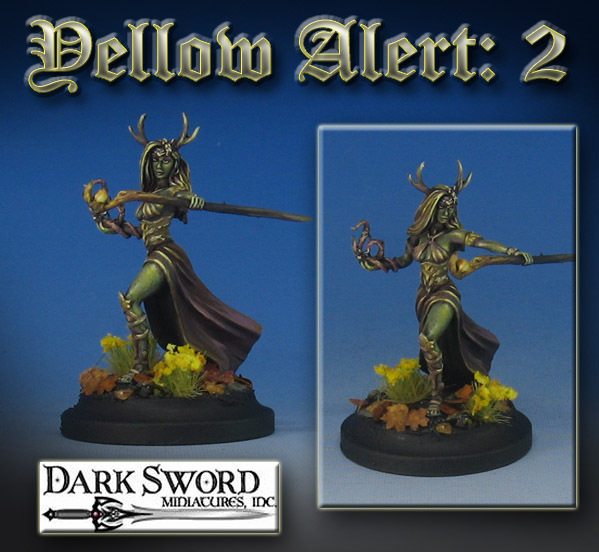 The latest Painting Dark Sword video is ready for viewing on the Patreon Page! This episode builds from the principles first discussed in the original Painting Pyramid video called "Yellow Alert!" You can even see the color swatch that I painted during that first video. 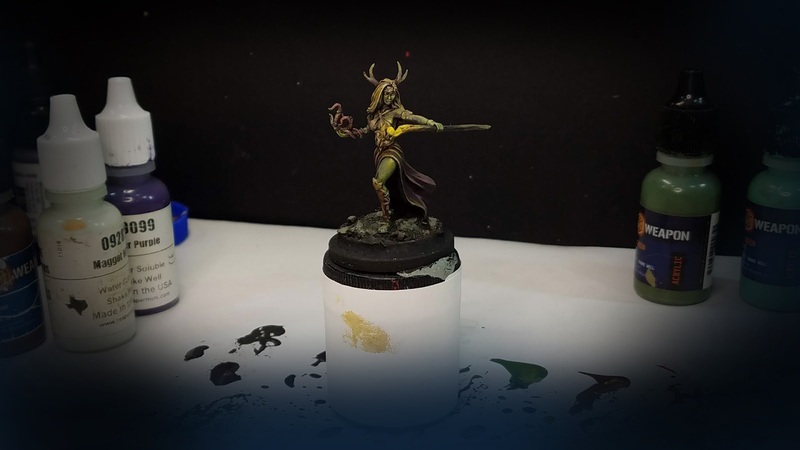 I expand on that here, right down to the basing of the figure. The goal of the video is to show you how expansive the range of "yellows" can be, and that it encompasses far more tones and shades than you might think. 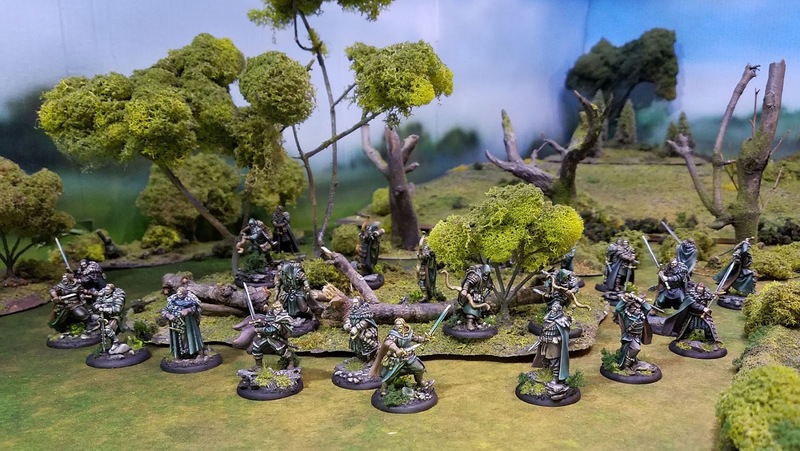 I brought out the Green Stuff World leaf cutters and flower tufts to show how you can carry that same color principle into your foliage and basing. I even managed to sneak in some Object Source Lighting, but that was not the central focus of the video. I added that so it was possible to show how 'yellow' can be the very bright color we automatically picture in our minds. However, I wanted to demonstrate how there is a vast range of much darker colors that can be made from mixing yellow with something else! I was primarily using purples and reds mixed with various yellow to create midtones and darks. Purple and orange mixed together is a favorite of mine, as it gives you a wide range of saturated or unsaturated brown and mahogany colors. 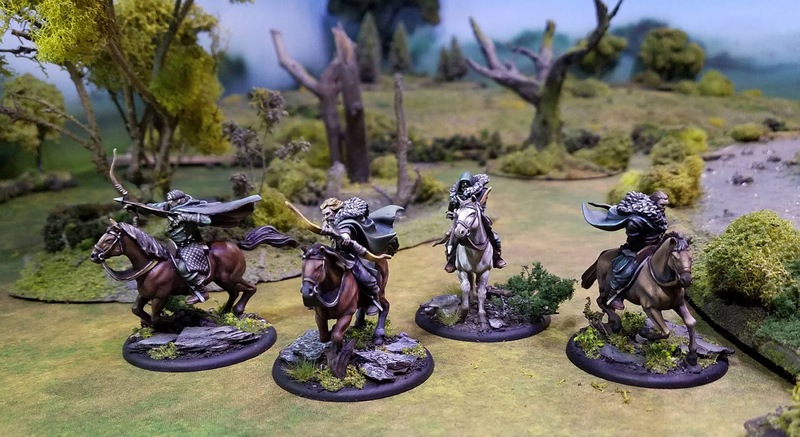 I have a special pledge level for Dark Sword miniatures (Black Heart busts are part of this pledge level too!) on the Patreon Page. Each episode tries to tackle something different. 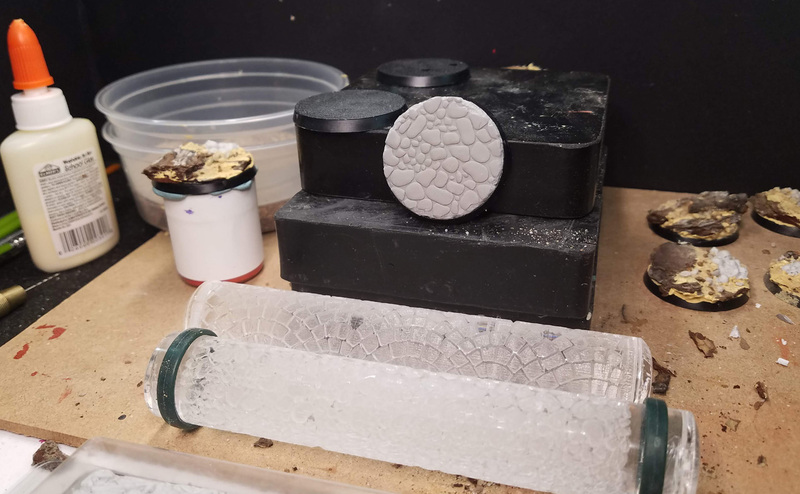 A different technique or color theory principle, a new material, etc. 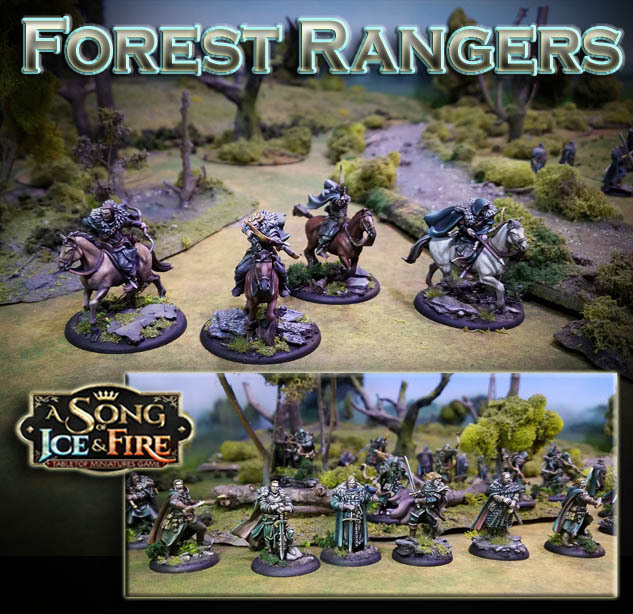 Here's a little preview of terrain that will eventually appear in the Song of Ice and Fire battle reports (and some Lord of the Rings reports as well!). 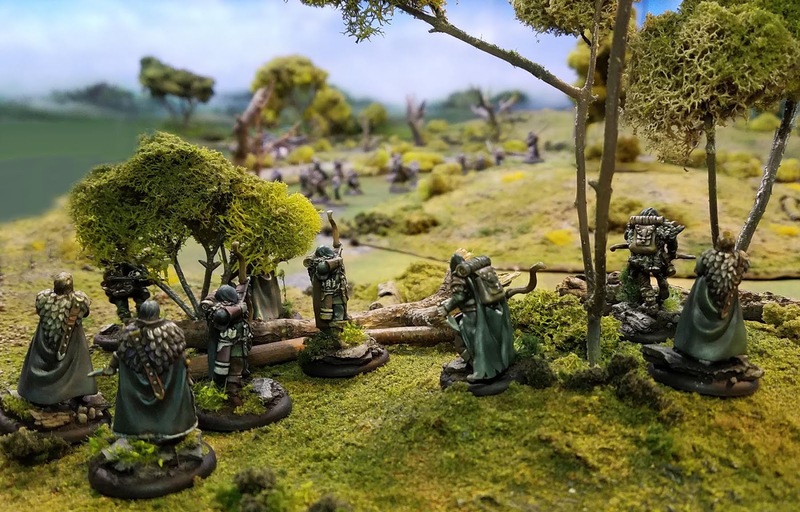 It was originally created for y Bolt Action games. 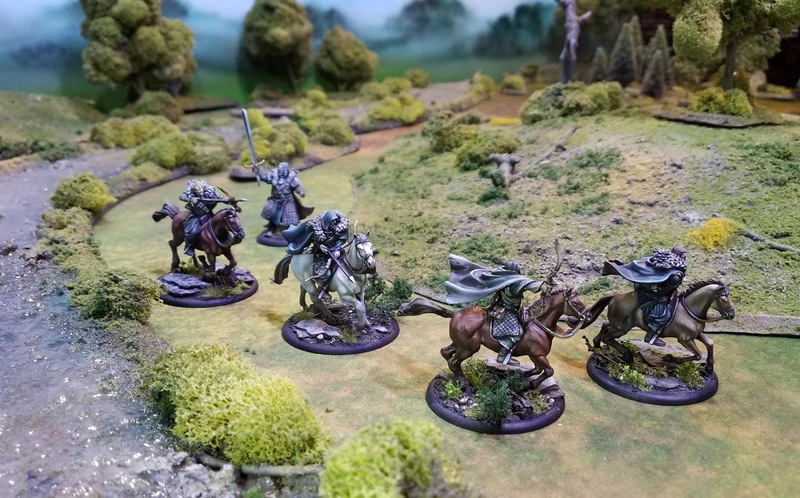 The mat itself is from TableWar, and one of several fantastic, durable game mats that I am using for all my battle reports. While I like to use 4 x 6 mats, they do have 4 x 4 versions of each. 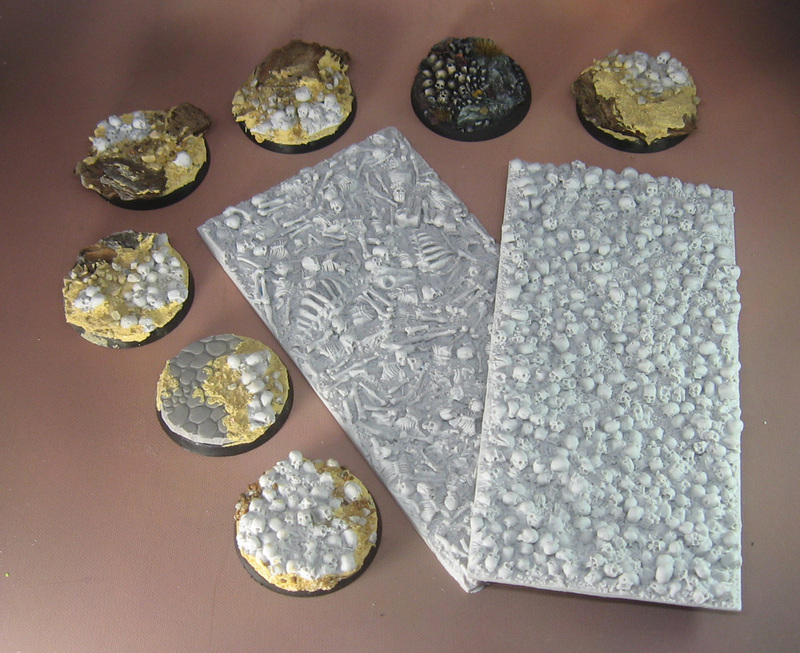 I can't wait to see my own Song of Ice and Fire armies on their movement trays negotiating this type of battlefield. 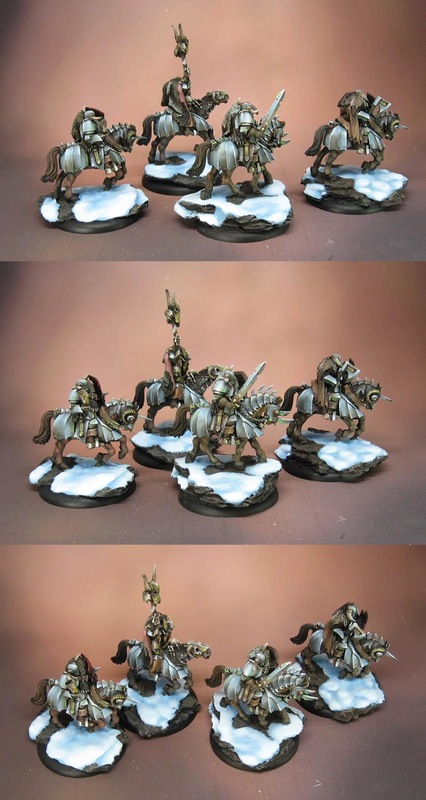 These were painted as a commission army for someone who is using them for his own system. It is pretty interesting to see this view with archers instead of an artillery piece or mortar crew! 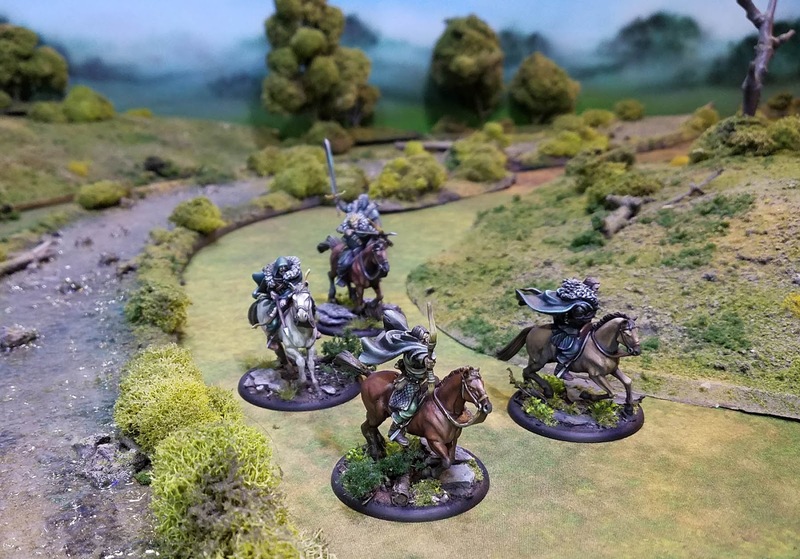 I was really looking forward to the scene of these wonderfully sculpted horses charging along the bank of the river! 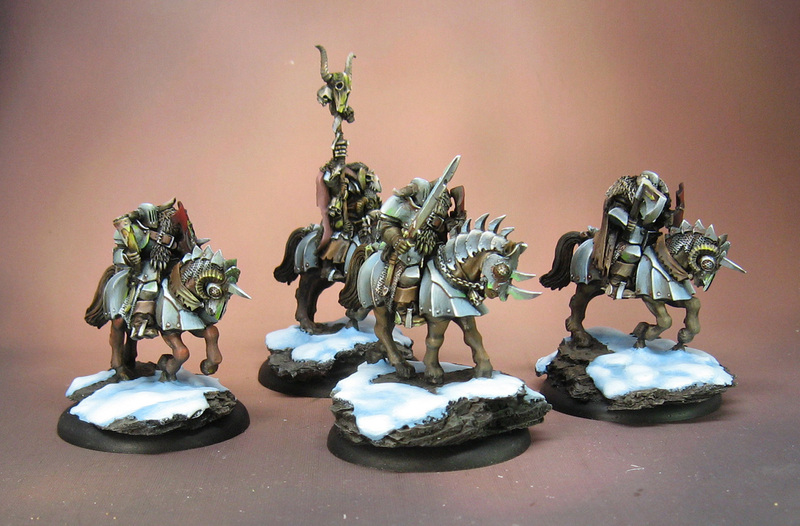 As you know, I really love how the horses are sculpted for this range. Not only are the muscles and proportions done well, but the movement achieved is amazing! These horses really do look as if they are running, instead of a merry go round horse stuck to a base. 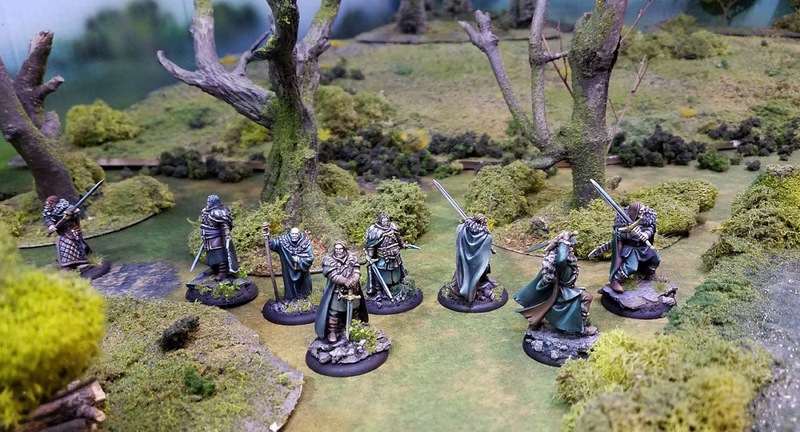 Imagining these units on this board with the activation banners and other extras that I have planned is definitely inspiring me to work through all the armies that are being worked on at once... the Free Folk, Starks, Lannisters, Boltons and Night's Watch. 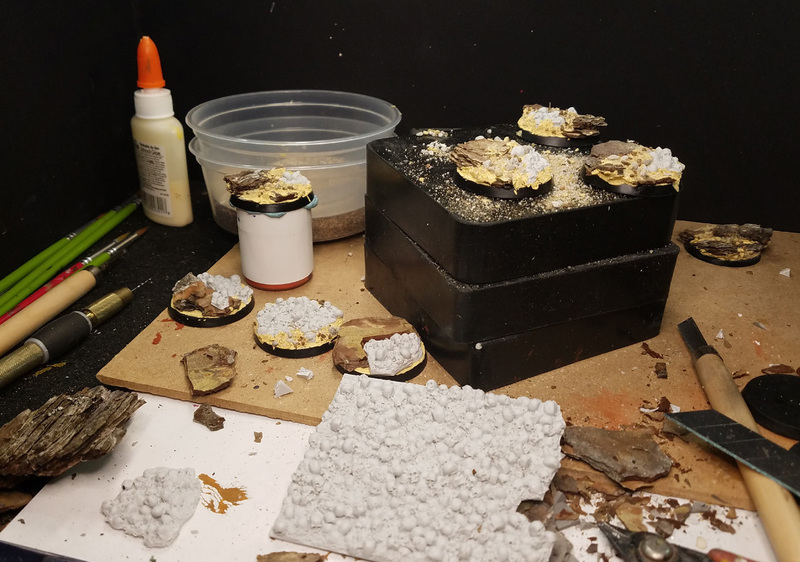 I will probably have fewer terrain pieces on the board than I normally do for my Bolt Action games. 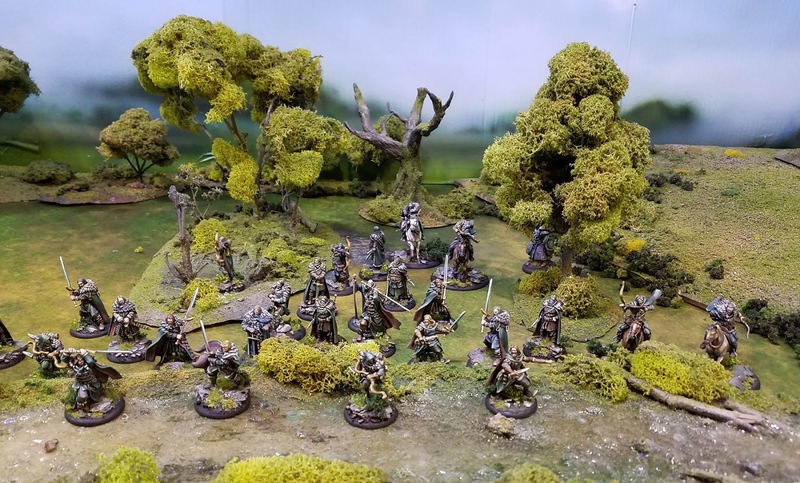 That will likely be placed along the edges of the board, but I definitely want to have some slopes, rivers and so on, to create a more realistic setting than tossing out a few cardboard terrain "pieces". This central sloping hill is an example. 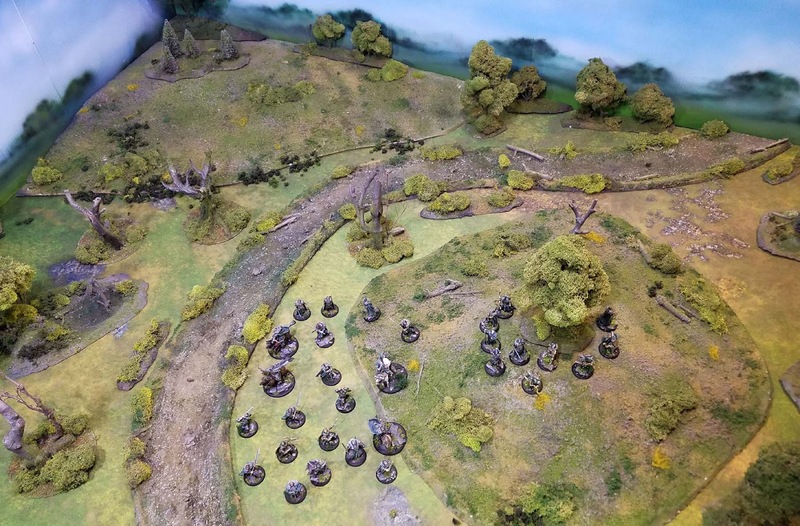 I think it will be really dramatic to have units heading up to the top of this hill to duke it out in close combat! In my other games, it tends to be a line of sight blocking piece. Now it should be the focus of many an objective marker grab. It has been a very long time since I last painted a GW figure that wasn't from Lord of the Rings, so this was interesting. 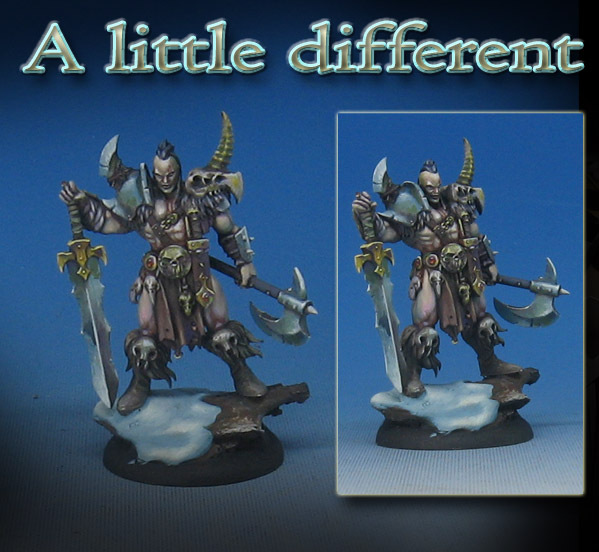 This guy had to match all those other figures painted from several different miniature ranges. I have discussed the challenge of matching figures from various ranges before. It seems like it should be simple, but not only do some figures have very different armor, they also have lots of those "extra" tidbits added... especially if they are newer figures. 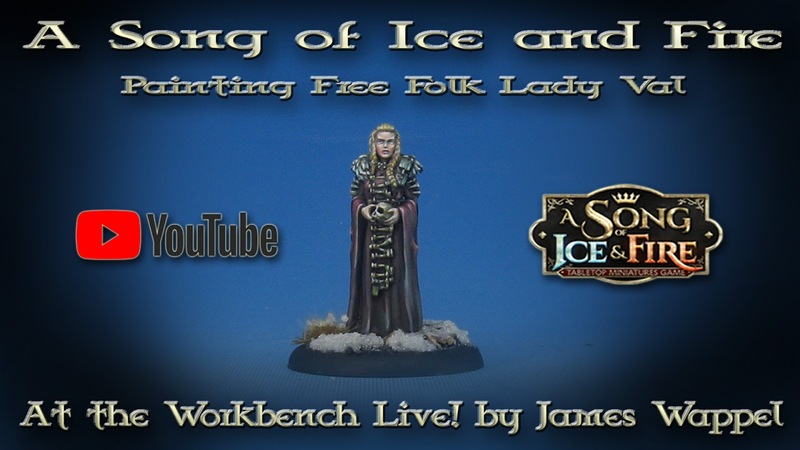 With the advent of digital sculpting, adding lots of buckles, straps, feathers, fur, and whatever other little things you can think of is a lot easier, and therefore you see a LOT more of it. Sometimes the figure itself can be virtually buried under all this gear. Back in the day, I really enjoyed the Celtos line, because there was a minimum of all those extra things. The figures were more like a blank canvas, in which you could add (or not add) what you wanted. 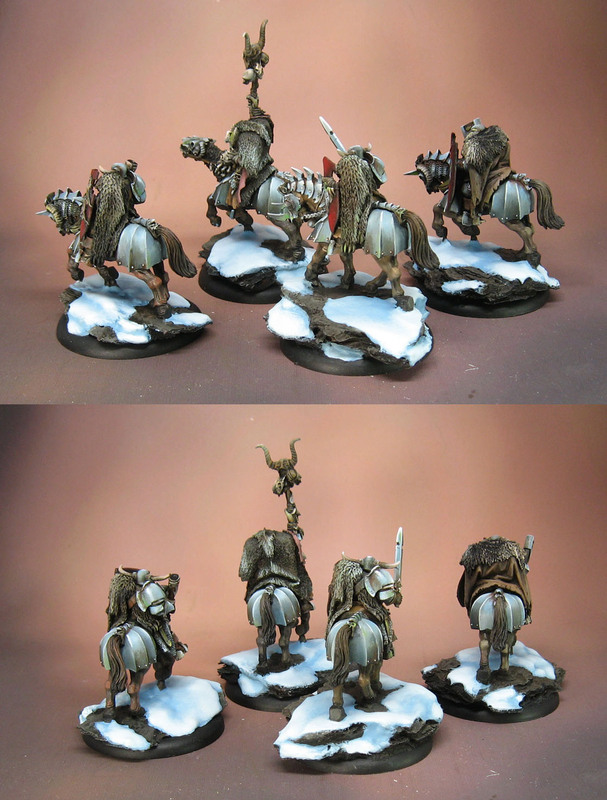 I especially wish that the "sculpted freehand" designs were left off miniatures. I understand why this is the case, but my choice would be for flat banners and cloaks. This would let me choose what sort of freehand designs that I want, instead of having to try to file them off! 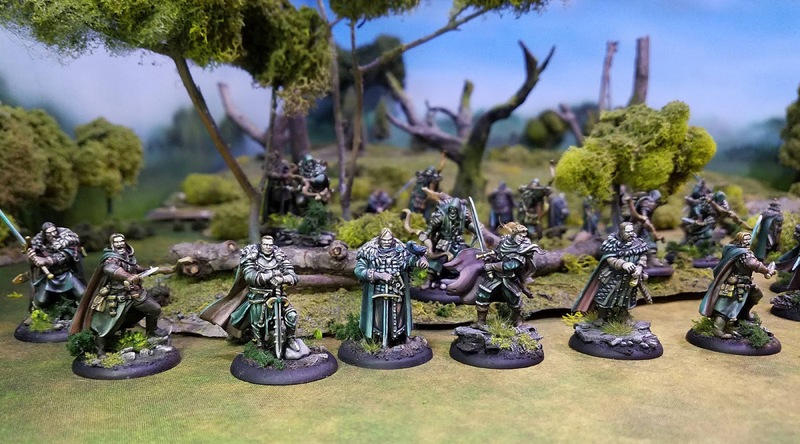 The latest Army Painting series begins as they always do, and that is with basing! Here are some scenes from the first episode. 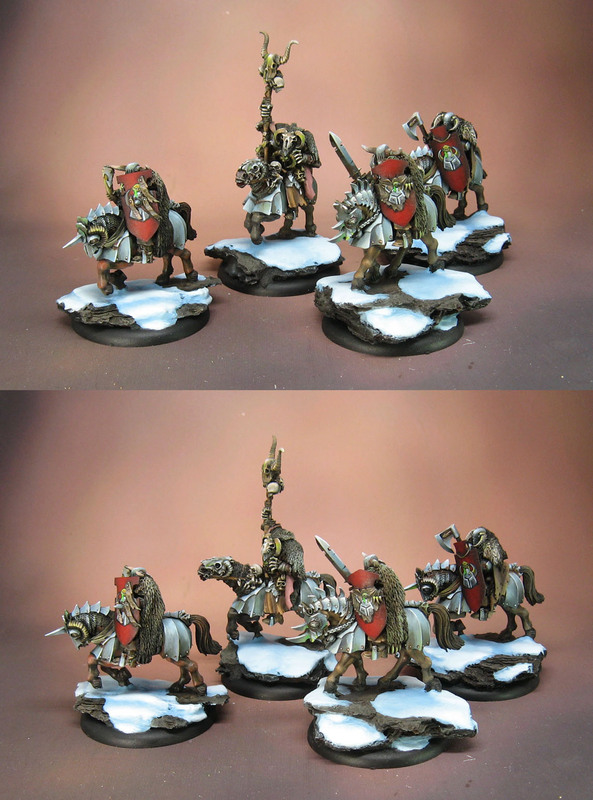 I will be working on a unit of Lord of the Rings Morghul knights, and I wanted to try out a new material. 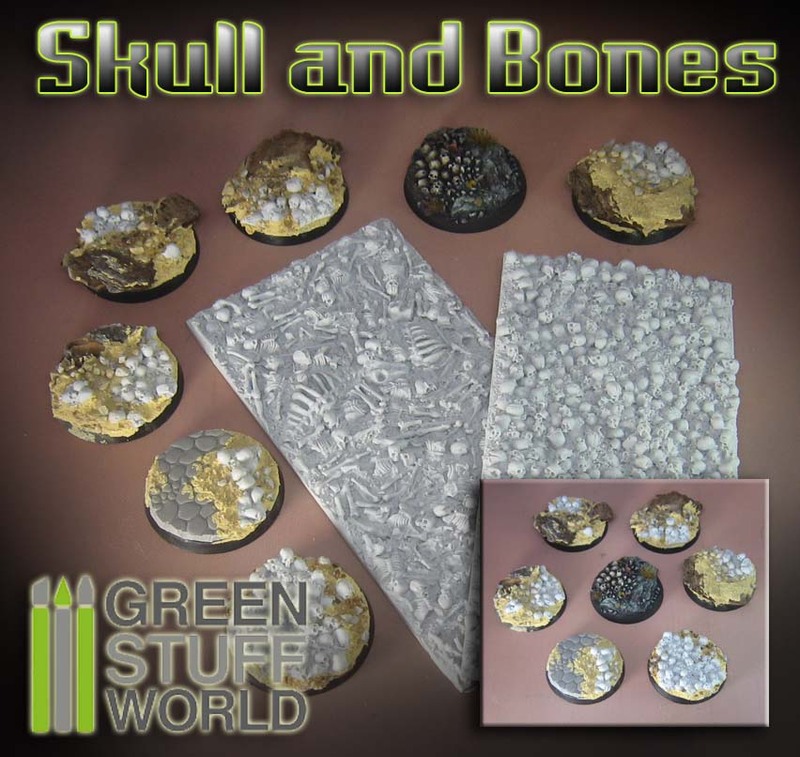 That is the Crunch Times resin texture sheets from Green Stuff World. 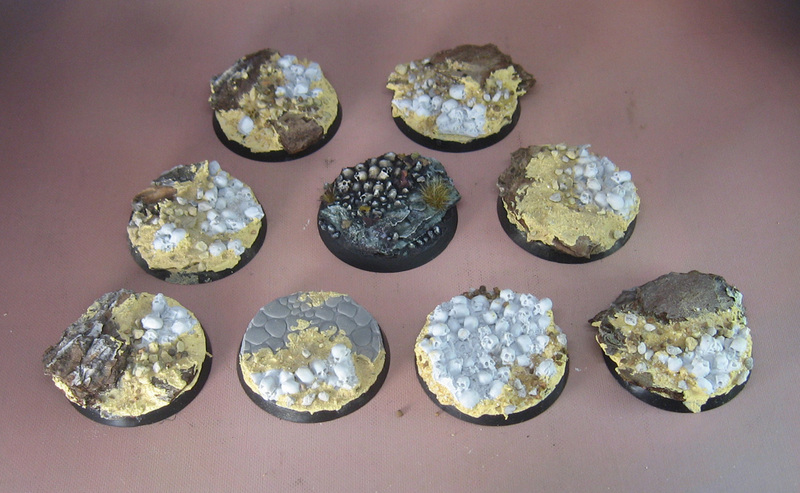 The idea was to create skull piles integrated into the usual tree bark and oxide paste style of basing. I had been wanting to try this for a while, and this seemed to be just the opportunity I was waiting for! It was even more important than usual to think about the "footprint" of the figures, because horses can be tricky to get on a base. That worked out better than I expected, with the help of the paste and some rocks/gravel. 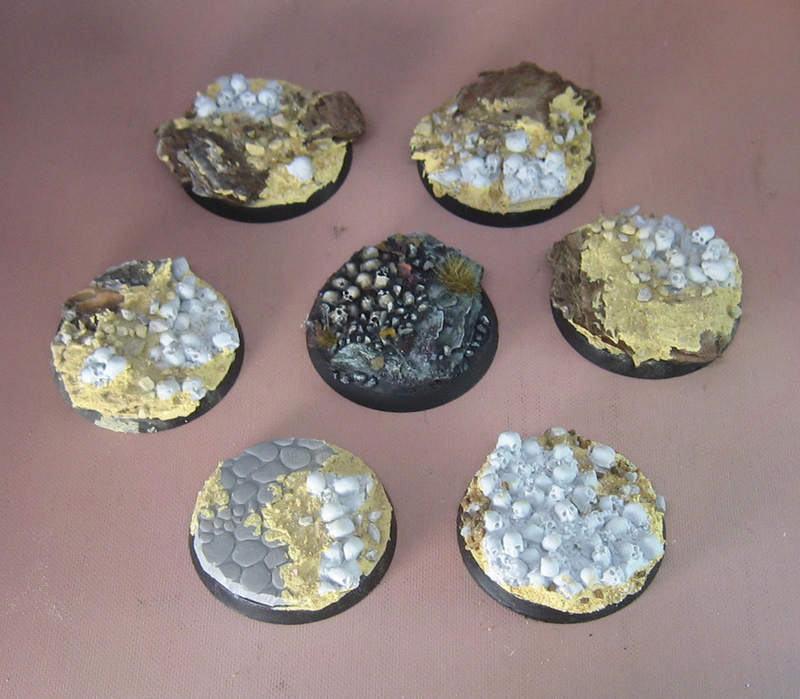 I made a variety of bases during the video, experimenting along to way to see what I could do with this previously untried material. 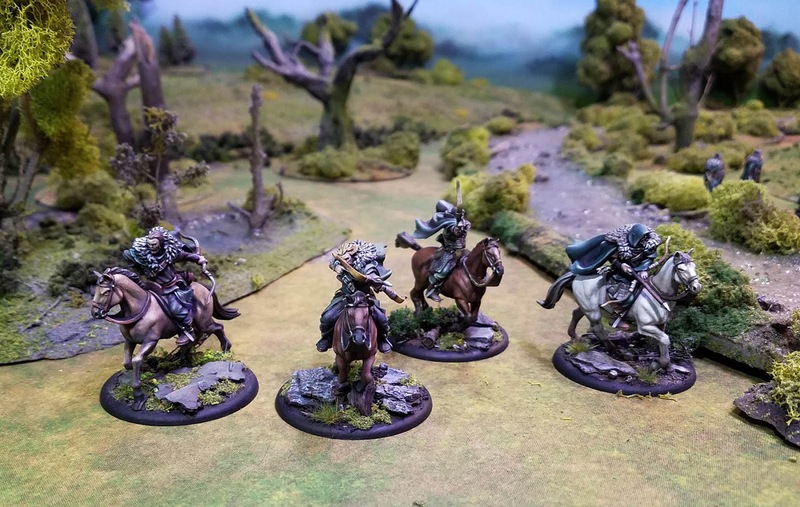 With each Army Painting series that I film, the goal is to try one new material or technique. The results were very satisfying! 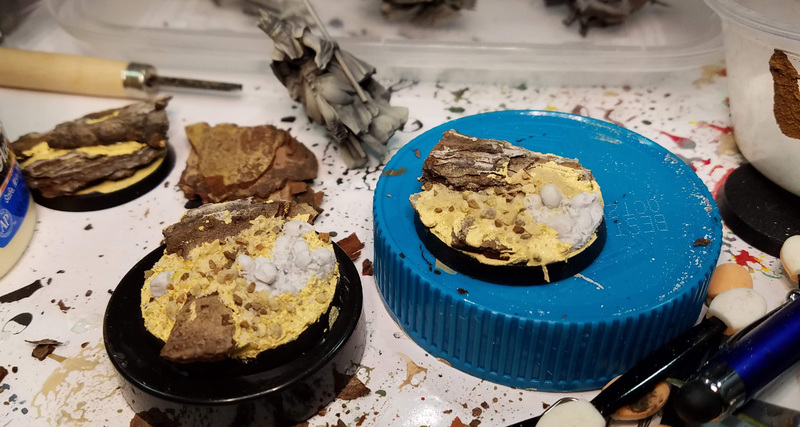 I was even able to combine the roller texture and the skull sheet on a base. 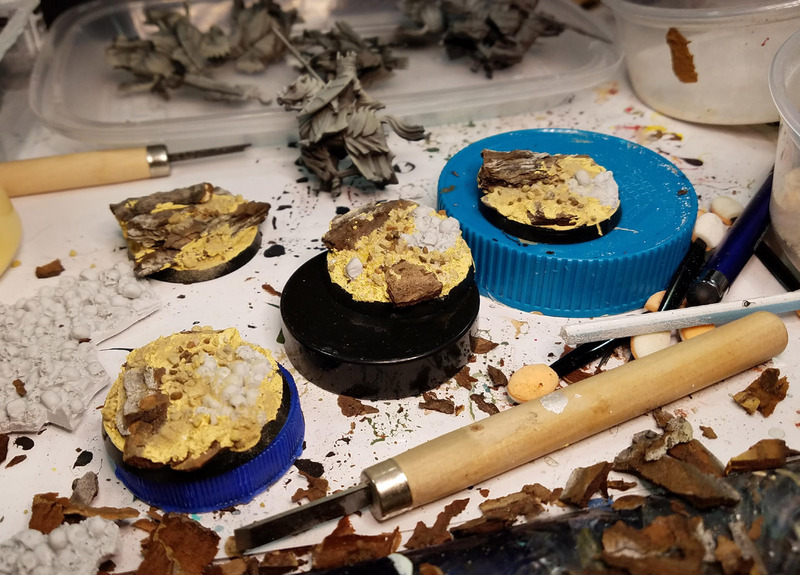 I also show the process of painting the bases before moving on to the second episode, which is always the color test figure. A typical series is 5 episodes, and about 10-12 hours of running time. It is hard to believe that this is already Series 7! This is also my third series on Lord of the Rings. I already have a series on my Easterlings and Army of the Dead. Each of those covers a different type of basing, and various techniques. Something old and something new. In oils. 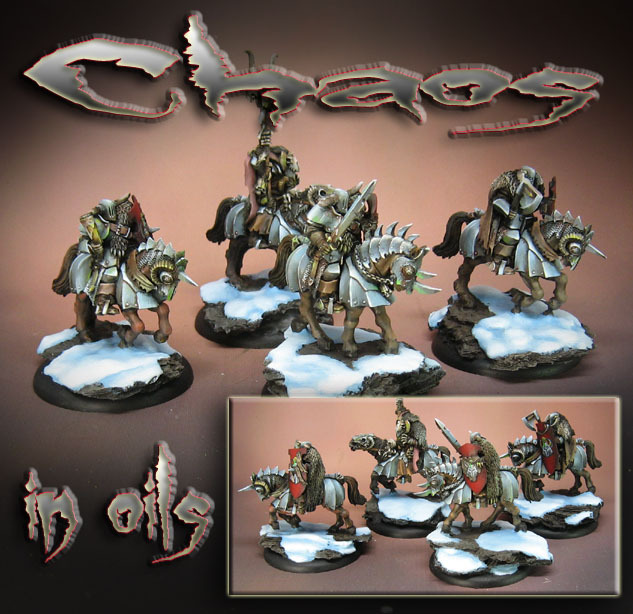 Here we have some old timey Chaos Nights which were painted with oils, which is relatively new for me. It was really interesting to work on figures which are this old, utilizing a very new product such as the Mig Ammo Oilbrushers! 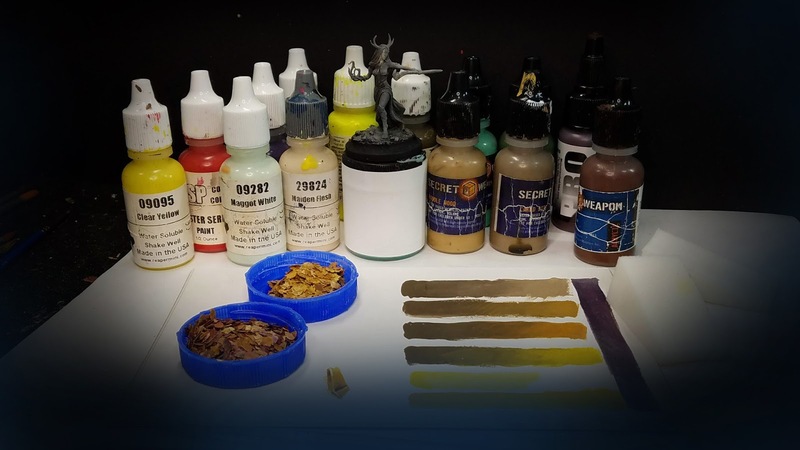 I had a lot of fun taking advantage of the extended drying times to be able to create various blends without having to rush around in a frenzy. There are also a number of muted tones here, and being able to pull the oils from one area into another keeps things in line color wise. All it takes to shift a color more towards the cool range is to slap a little blue or green, and mix it right into those wet oils! 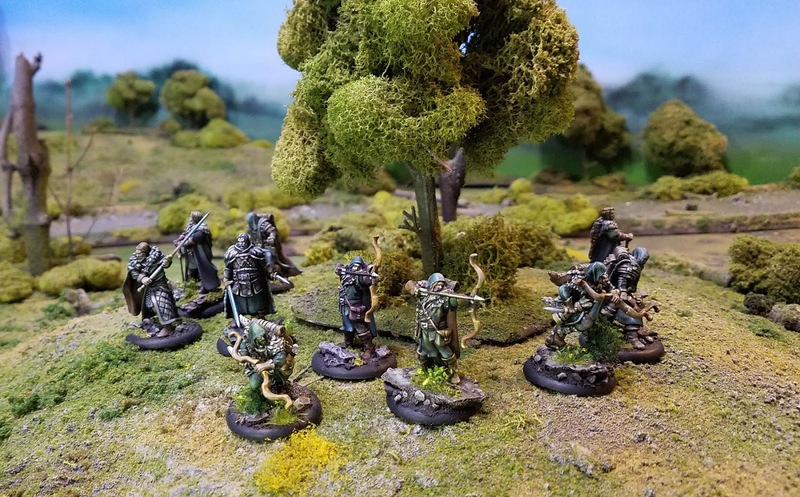 At first I thought the oils would mostly work for painting historical figures such as my Bolt Action armies, but I have been so pleasantly surprised that they have worked for everything else as well, even figures with much brighter and saturated colors. 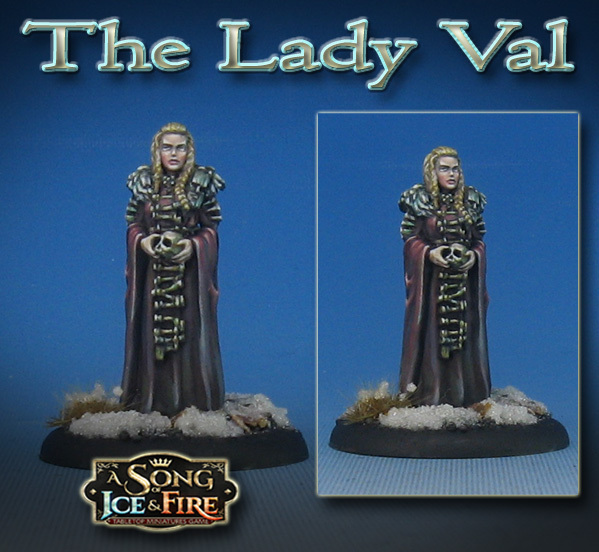 My latest YouTube Live session showed how I painted Lady Val from the Song of Ice ad Fire Miniatures Game. She's another NCU, and now joins Craster and the Savage Giants! I tried to show how to get interesting and unexpected colors in the shadows, as you can see in this image. Grays, blues, purples and even greens were used, although the cloak registers to the eye as "red". This kind of subtle addition makes what could be a bland area far more interesting! 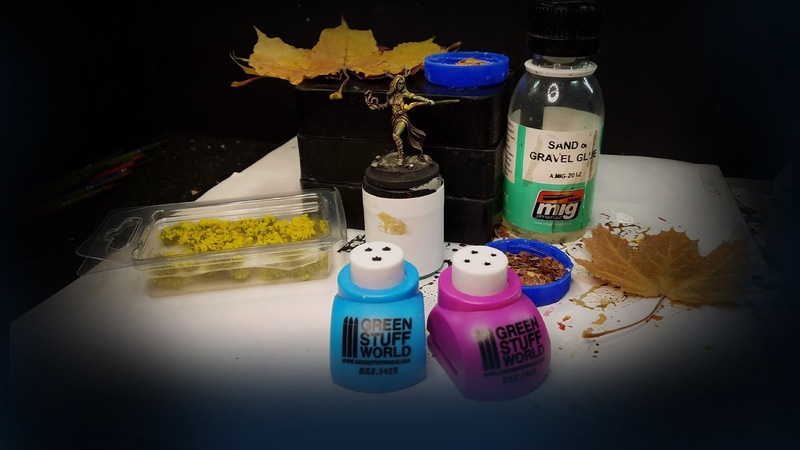 I even went into the use of the Green Stuff World leaf cutters and the Secret Weapon crushed glass method on the base. This is something I don't believe I have ever done, and it seemed like the right time to do it before I lost track of more of them! 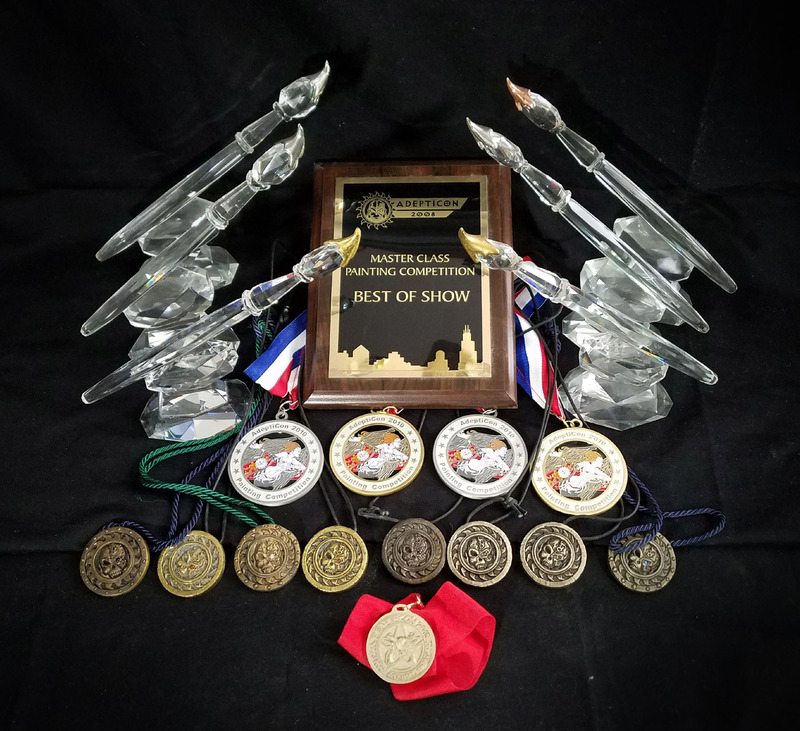 I attempted to track down as many of the awards as possible that I have come my way over the years... Best Painted Armies, Adepticon Awards, Crystal Brushes, Golden Demons, Reapercon Awards, etc. This is certainly not all of them, because they are probably buried or hidden somewhere behind terrain or miniatures! 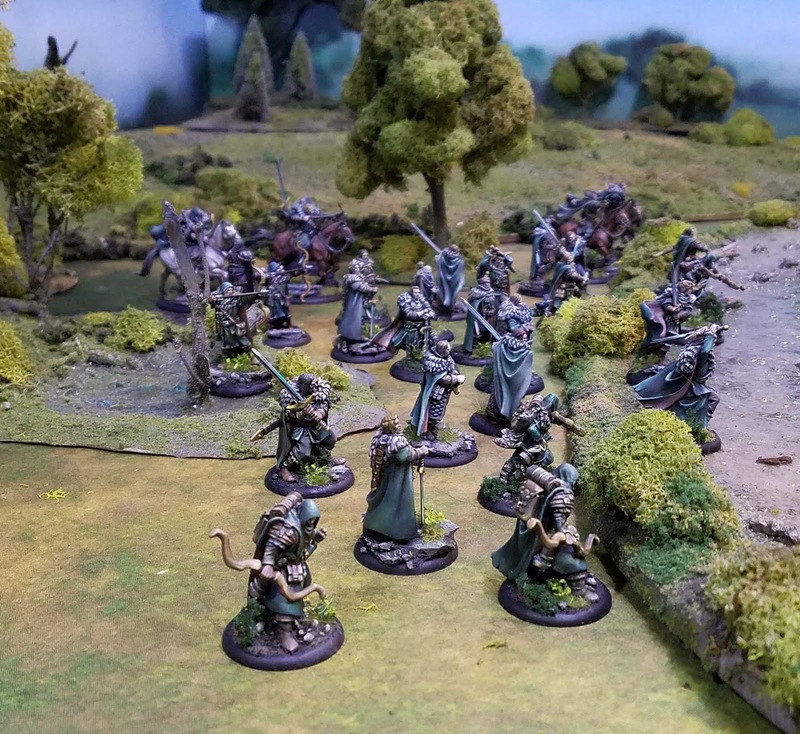 As some of you probably know already, Army Painting is by far my favorite thing. I really love coming up with color schemes, stories for the armies, making conversions and scratch builds, etc. 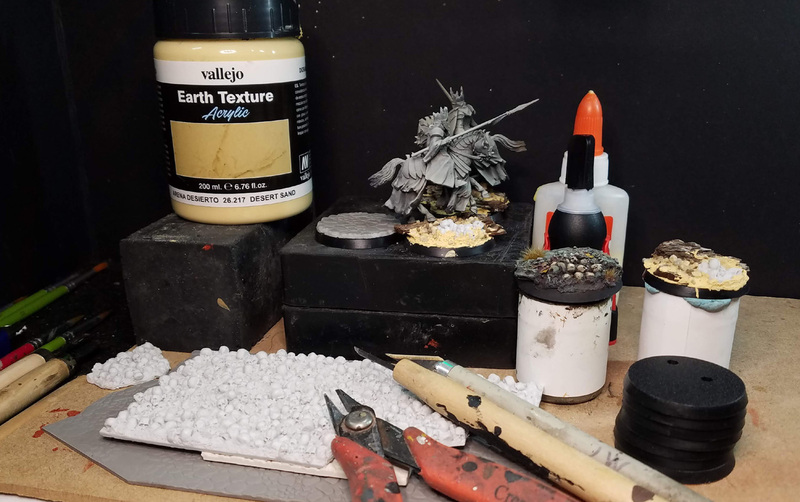 These plaques go back to the heyday of army painting, when I was making 40K armies, Fantasy armies, and Lord of the Rings armies. The large trophy that you see here is still my favorite one of all. 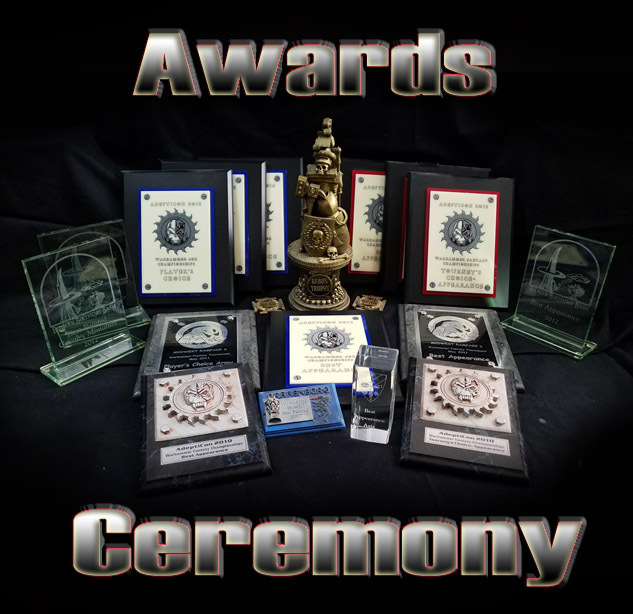 This was the award for the United States Armies on Parade, which was won by the Lizardmen. Hence the "Babo's Trophy" sign. 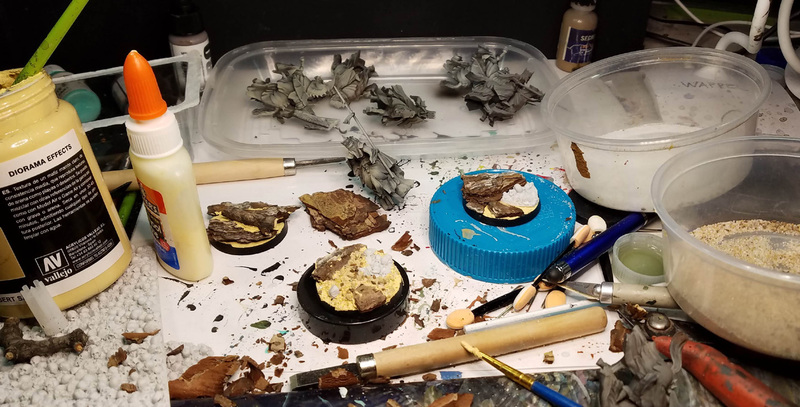 This was where I first learned to create a display board around the army, to create unique bases, and even to scratch sculpt what I wanted! 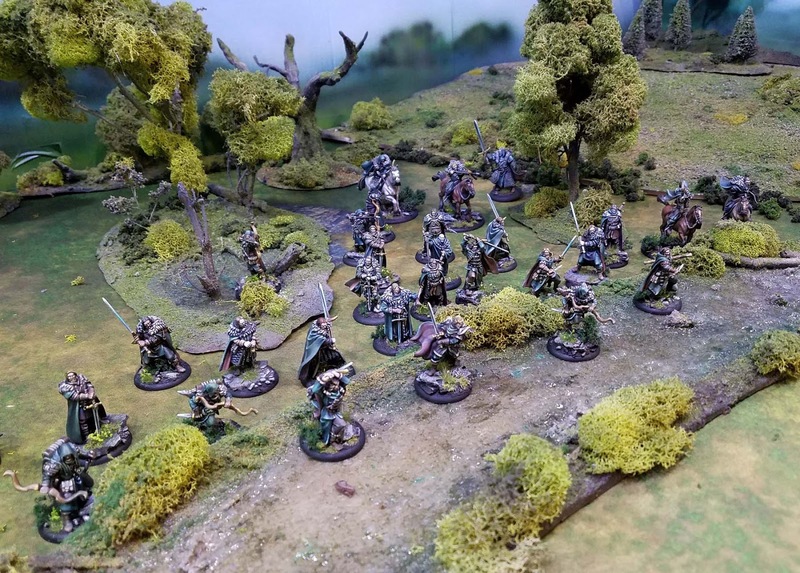 My Lord of the Rings armies for Bilbo's Bash were a pleasure to create, and to play in that amazing tournament. 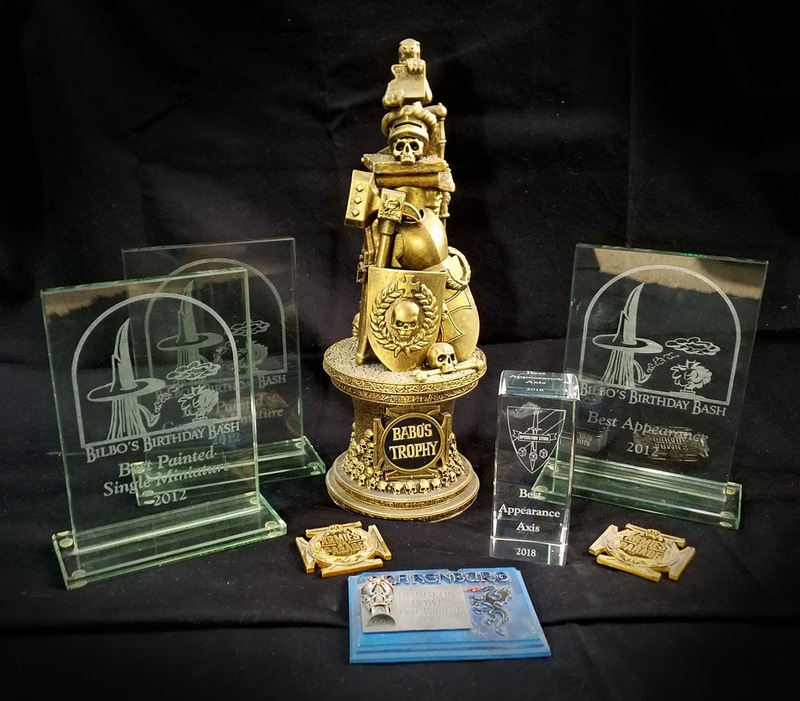 You can also see the brand new Operation Sting award, which is bookend fashion was put on by the same good folks who used to do Bilbo's bash! 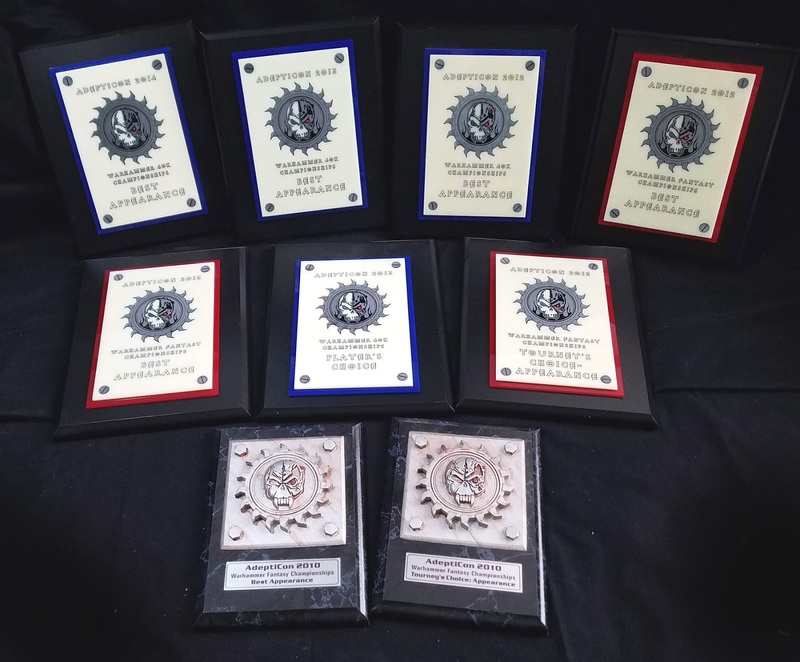 I also won some Best Painted at various Blood Bowl Tournaments... most notably with the Mimes of Moria! While they were still held here in the U.S., Cathy and I did the Games Day routine each year. That meant the Golden Demons, and the Art Contest. I would enter in stuff from my armies at the start of the day in the Demons, and then head off to the art area. That is where I created this portrait of Stikki Wikkit, and even the sketch that started off my Tomb Kings army. 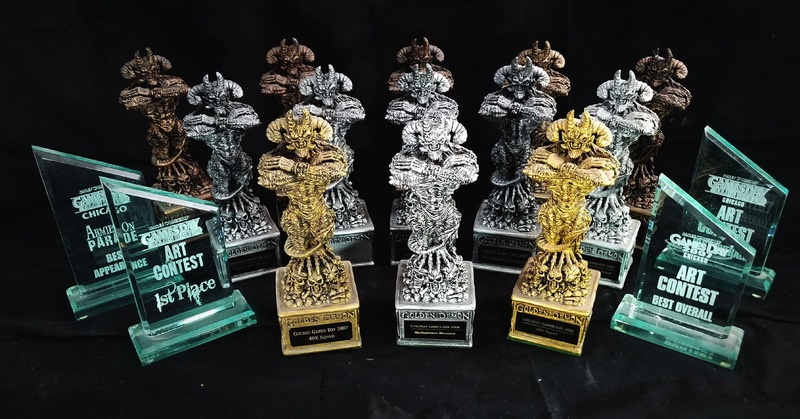 Ironically, the last trophies that I won was for Mage Priest Babo, the main character in my Lizardman army! 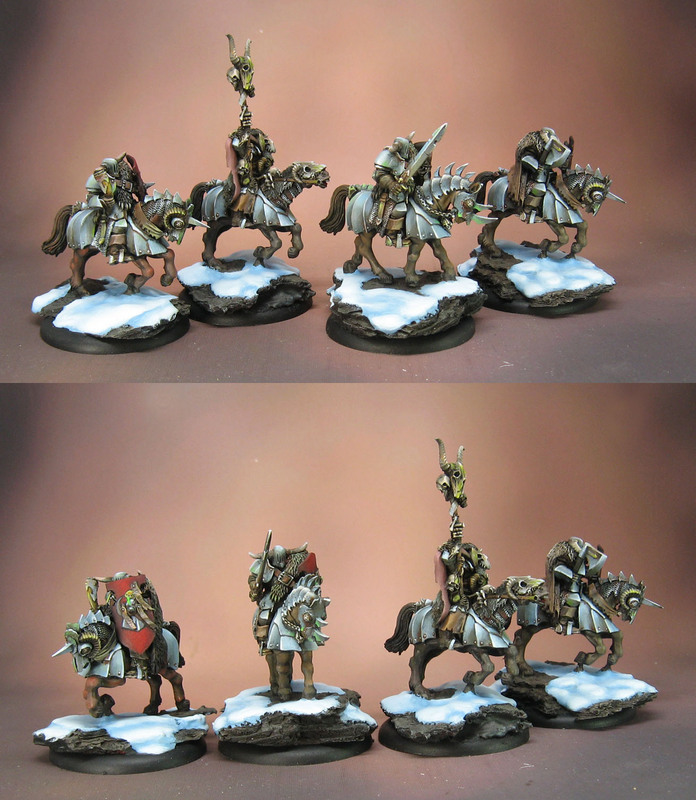 I also remember getting the Gold for my 40k Grey Knights Terminator squad that first year. Eventually they stopped holding the event.